Sometime when a controversial issue just keeps going in circles, it can be helpful to “flip the script” and imagine how it might go down, if the same were happening but the group being impacted was from a different socio-economic class. The above is fiction; in part because North Minneapolis teams are too classy to mock another community and culture. The above is also offensive, why? The people of Edina did not ask or desire to become a football team’s mascot. While the Mascots use some real names, terms, places and cultural markers of Edina, the overall effect is a negative stereotype or cartoonish image. Most North Minneapolis teams and fans (in my example) have little connection with Edina and so their commitment to honestly portray their image is minimal. Although the fans and coaches may proclaim, “we want to accent the cultural and economic successes of Edina,” the truth is Edina suffers, negative stereotypes about Edina are spread and even taught, hence the positive intentions are really a hallow sham. This is obviously intended to distill some of the discussion around the use of Native Americans in general as team mascots. However, it falls short in one profound difference; the people of Edina have not been traumatized by generations of oppression and abuse. In this way, this illustration cannot account for the layered complexity of the present discussion regarding the “Washington Redskins.” The adults and children of Edina would be annoyed by such foolishness; Native American youth and communities are shamed and have felt powerless for years to reclaim their right to control their image. This is also why the team name “Vikings,” or “Fighting Irish” fall into a whole different category, the descendants of Vikings and the Irish do control the way their ancestors are portrayed. At the heart of the discussion is not what “word” is correct or incorrect, but who has the right to control how a term is used and portrayed. When I was in High School we were the “Indians.” We had mascots with feathers and deep red/brown skin. While I cannot think of any classmates, or even residents in our small Iowa town who had more than a drop of Native American blood, we all knew we were living on land where Native people had lived and hunted for years, before our ancestors had forced them out. Most farmers in that area had found arrow and spear heads on the land. Perhaps being the “Clarksville Indians” did force us into some recognition that we had taken our home from them. But there was no real acknowledgment of the true names, culture, or language of the people who had preceded us on the banks of the Shell Rock River. It was only years later, through interactions with Native People, that I became most aware of the privileges I was given as a white man in the US of America and how those privileges, awarded to me, came at a direct expense to Native and African Americans, as well as other persons of color. True, we cannot go back and change the past. But I can demand that how we move forward from this point, how we discuss it, how we memorialize and celebrate it will not continue to reinforce the injustices committed and the myths perpetrated. This begins with including the voices of those who had no choice in the naming of the team, but had their image appropriated, their culture distorted and their honor tarnished by converting a proud people (be it the people of Edina or the First Nations of this Land) into a one-dimensional mascot. 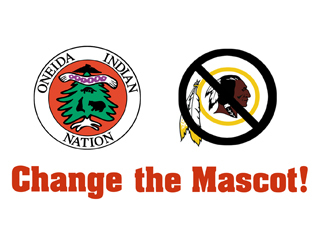 The present concern with this mascot did not begin with the NFL or the NCAA, but with the Oneida Nation, who proudly announce that they were the “United States First Ally.” The Oneida Indian Nation has released a series of radio ads requesting a change be made, you can her them here. Whose voice will you amplify? Previous PostIn Place of Columbus Day? Remembrance and RepentanceNext PostFour Reasons YOU should Want Immigration Reform, NOW! 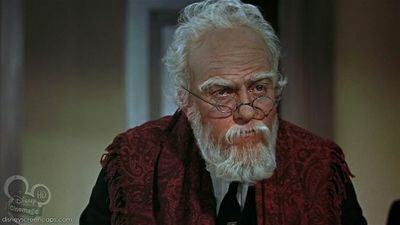 When we are unwilling to change little, unimportant, details of life to safeguard another’s dignity it is at best rude and at the worst some kind of idolatry or threat.